Take revenge on Flappy Birds with Flatty Birds | Android Blast! 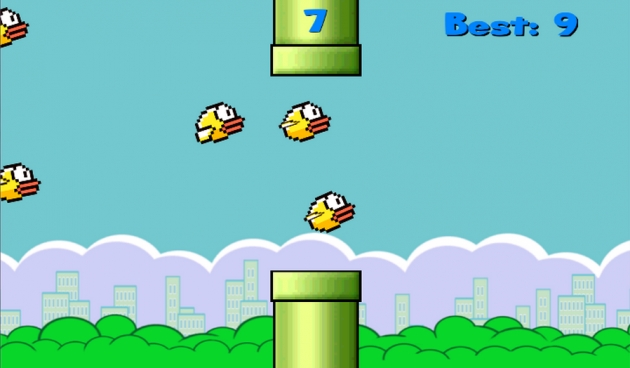 Are you a Flappy Bird addict upset at the developer for pulling your favorite game from the Play Store? Now you can get a glimpse of your former addiction with Flatty Birds. There will surely be a number of copy cat games, but Flappy Birds is out now. It borrows heavily from the look of Flappy Birds, but isn't really the same game. Get your revenge on those pesky Flapping Birds by squishing them flat! Note: This game is a parody and has no affiliation with Dot Gears Studios or Flappy Bird. So please refrain from sending me death threats. Simply tap the birds to squash them as they fly by. That's about it. Check out the Google Play Store for the download.